A heartfelt, hilarious tale of a famous trend forecaster who suddenly finds herself at odds with her own predictions...and her own heart. 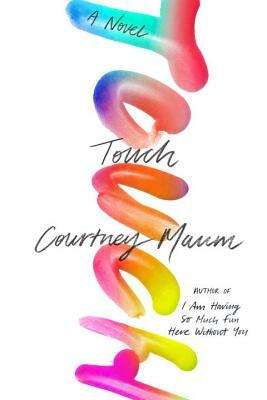 Courtney Maum is the author of the novels Touch and I Am Having So Much Fun Here Without You, and the chapbook “Notes from Mexico.” She has been published in outlets such as the New York Times; Tin House; O, The Oprah Magazine; and Buzzfeed; and has worked as a trend forecaster, a fashion publicist, and a party promoter for Corona Extra in the past. She currently works as a makeup shade and product namer from her home in Litchfield County, CT where she founded the interdisciplinary retreat The Cabins.